Croatia is a country of contrasts – beautiful beaches and rocky landscape in Dalmatia and intact nature and forrest in the continental Croatia. Many tourists visit to experience the country’s extensive coastline and well-preserved coastal Renaissance towns. If you wish to find out more about places in Croatia, visit our touristic tours section. The interior of the country, with the exception of the capital Zagreb, the erstwhile Baroque capital Varaždin and a plethora of medieval castles, has fewer tourist attractions. Croatia has eight national parks, most of them described here. The country is also rich with events – festivals, cultural & art events and much more. The gastronomy is unique and rich. There are several tourist regions in Croatia. 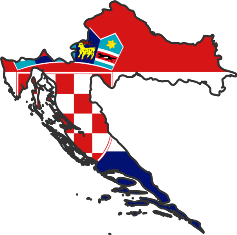 Dalmatia is the very center of Croatian tourism and can be divided in a few regions. The regoins are determined by the largest city and landmarks: Zadar, Šibenik, Split and the city of Dubrovnik. The region of Zadar is world known as yacting paradise thanks to Kornati National Park which has hundreds of islandes, most of them uninhabited. 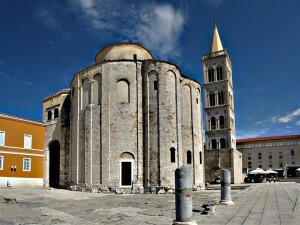 Zadar is the largest city of the region, founded in Roman times, during the time of Julius Caesar and Augustus, the town has city walls even today. On the western part of the city lie forum, the basilica and the temple. The area outside the town is famous for the ampitheatre and cemeteries. One of the most famous buildings is sv. Donat – the monument of romanic buildings from the 9th century and the simbol of the city. Zadar has many events, museums, beaches and much, much more and should not be missed on Your tour. 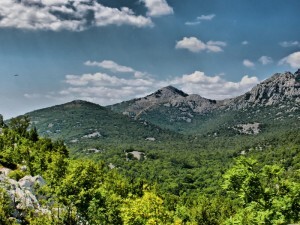 The interior of the region has mixed plains and mountains with Paklenica canyon as the main attraction. The Paklenica National Park is the most visited climbing site in Croatia and one of the largest in Southeast Europe. One of the biggest party zones in Europe is island Pag and the town of Novalja with world known site – Zrće. 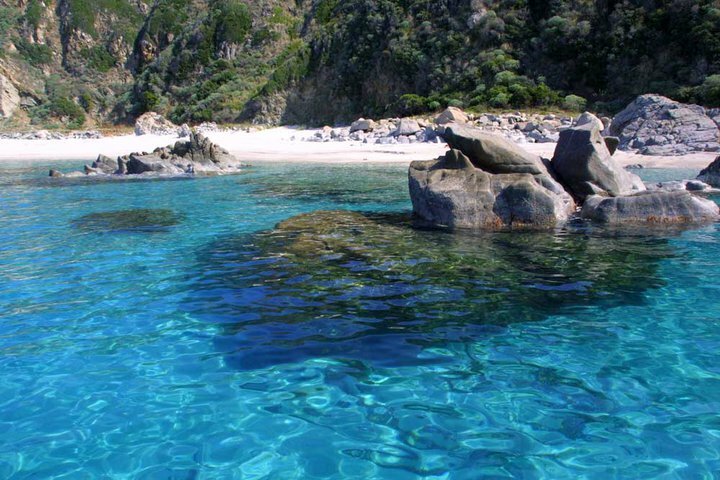 Rich with all-hour discotheques the beaches on island Pag are very popular destinations for partygoers. 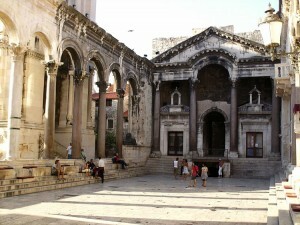 The region of Split is well known for unique Roman heritage with UNESCO-protected Diocletian’s Palace. The city of Split was built around the said palace and is the second largest city in Croatia. 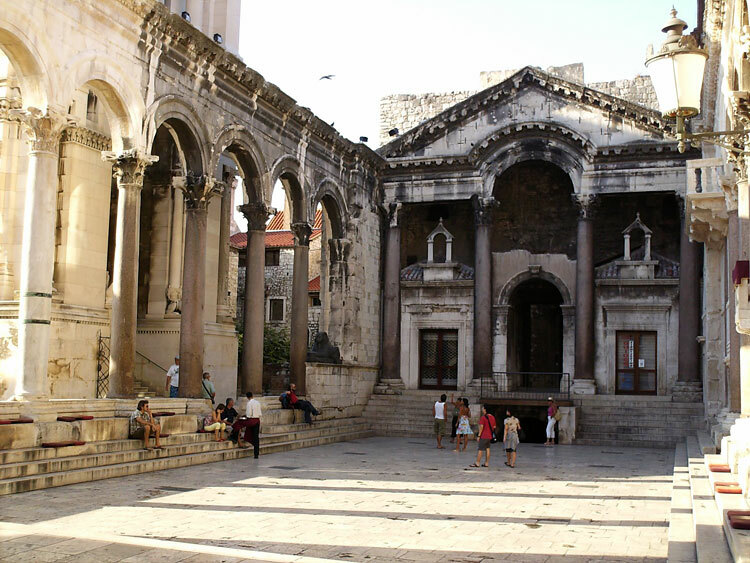 Many monuments, like Split Cathedral, make this city stand out among others in Dalmatia. Makarska Riviera is a part of the coastline known for amazing beaches with crystla clear water, clubs, cafes, hiking sites along the Biokovo range and more. The region of Dubrovnik is, of course, famous for the city of Dubrovnik. The finest Renaissance highlight is the Sponza Palace which dates from the 16th century and is used today as the National Archives. The Franciscan monastery library, which possesses over 30,000 volumes, 22 incunabula, 1,500 valuable handwritten documents and much more is often visited. Dubrovnik’s most famous church is St Blaise’s church, which was built in the 18th century. The baroque Cathedral was built in the 18th century and is known for impressive Treasury with relics of Saint Blaise. 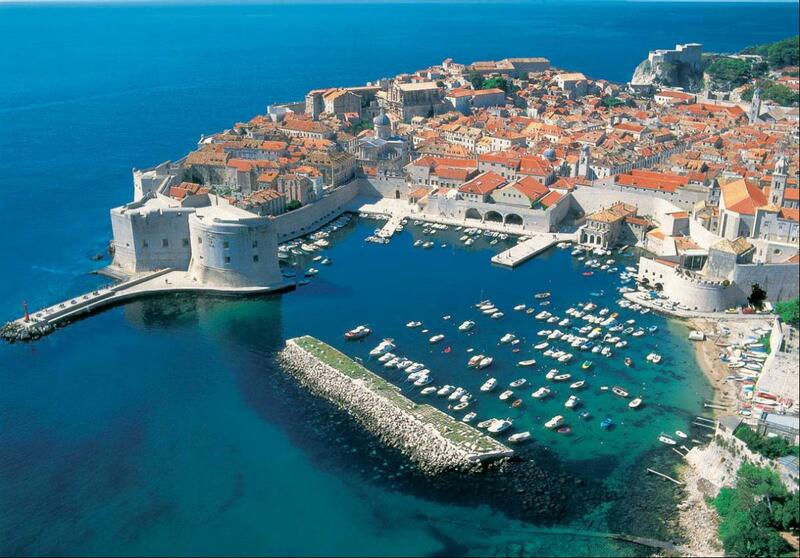 The main feature of Dubrovnik is its walls, that surround the city and are 2km long. The walls are four to six meters thick with a system of turrets intended to protect the city. Nearby island include Korčula – hostorical island with devout Catholic inhabitants which keep the old church traditions and ceremonies alive through various manifestations worth Your visit. The untouched forests of Mljet, one of Croatias National Parks, are an impressive sight. 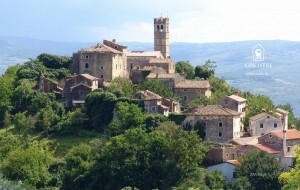 The peninsula of Istria has much to offer. The west coast has several towns with rich history, dating from Roman times. 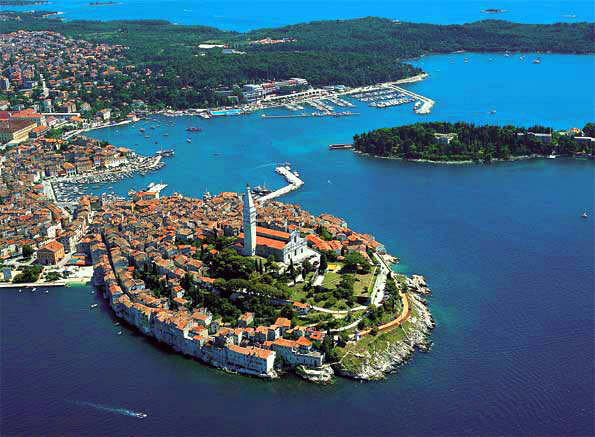 Among these, Umag, Poreč, Pula and many more are worth visiting. Euphrasian Basilica in Poreč is famous for the renown 6th century mosaics, however, this is just a small portion of what awaits You in Istria. 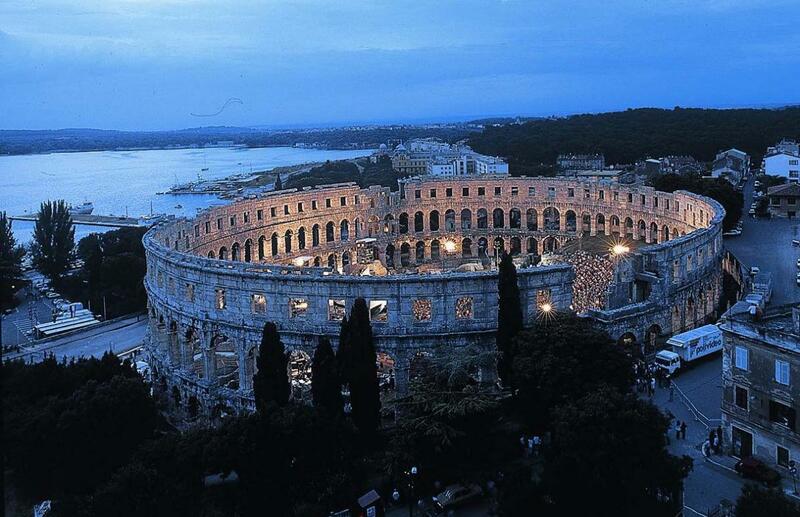 The largest city in the region is Pula, known for the best preserved amphitheatres in the world which are still used by some events. Only a boat ride away from Pula is one of the most beautiful national parks in Croatia – Brijuni. Brijuni have a history of their own. Josip Broz Tito had a summer residence there and many world leaders have visited it. If You prefer nature, sea and beaches, Istria has plenty to offer. Breathtaking beaches, crystal clear sea filled with ancient Roman galleys and World War I warships, unspoiled coves and small islands are one of the reasons Istria is among Worlds top destinations. 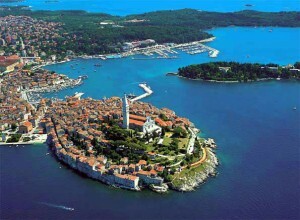 If You decide to visit Istria, make sure You visit Rovinj. 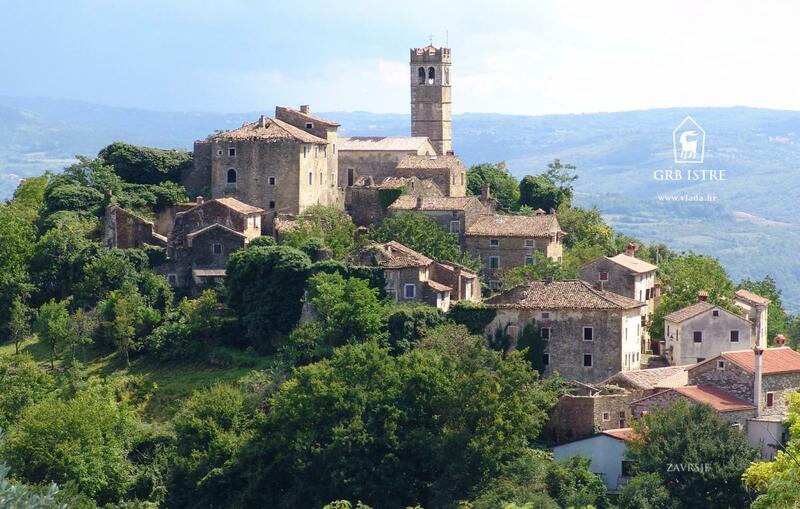 One of towns worth mentioning and visiting is Motovun. 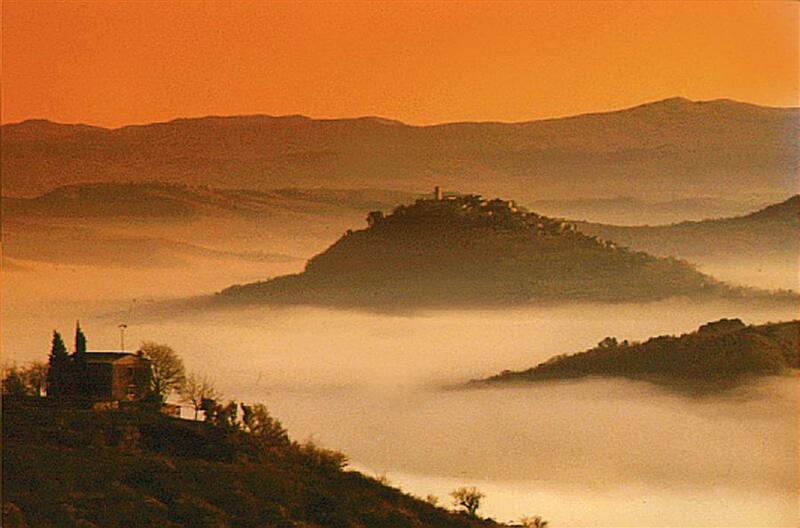 This quiet city resting on a hill near river Mirna and the famous Motovun forest is host to international film festival, an event visited and praised by many. 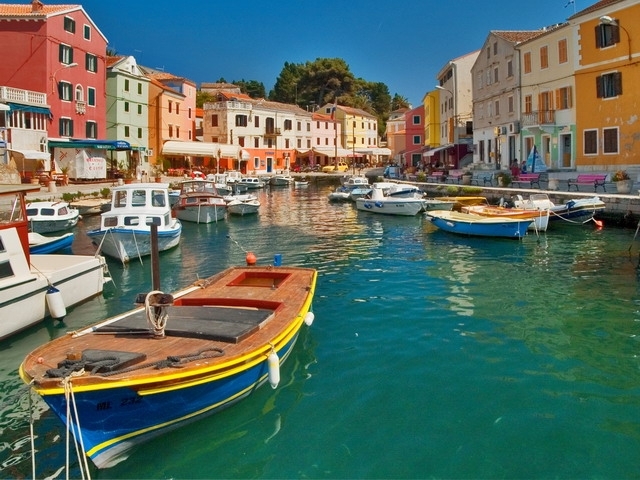 Kvarner is one of the most diverse regions of Croatia. The Kvarner gulf provides amazing sceneries, tall mountains with crystal clear sea and large islands are a breathtaking combination. 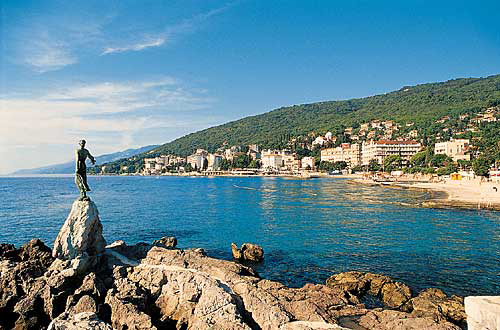 Most famous tourist locations in this part are Opatija, Lovran and island towns of Rab and Lošinj. 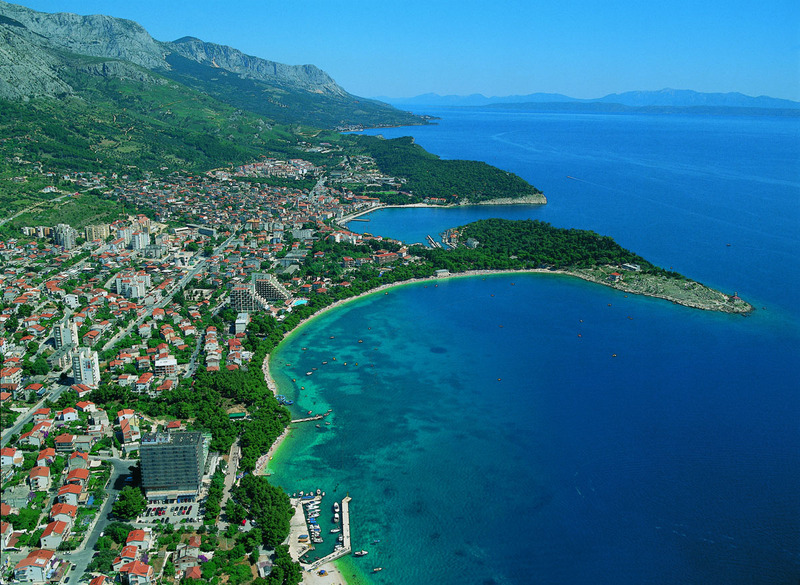 The island of Rab has rich and long history, beautiful nature, beaches, heritage and many events. Many of our European customers decide to visit Lošinj, which has over 2600 hours of sunshine a year. The interior of this region, Gorski kotar, Velebit and Lika have untuched nature, mountains and forests with diverse animal life and national parks of Risnjak and Plitvice. 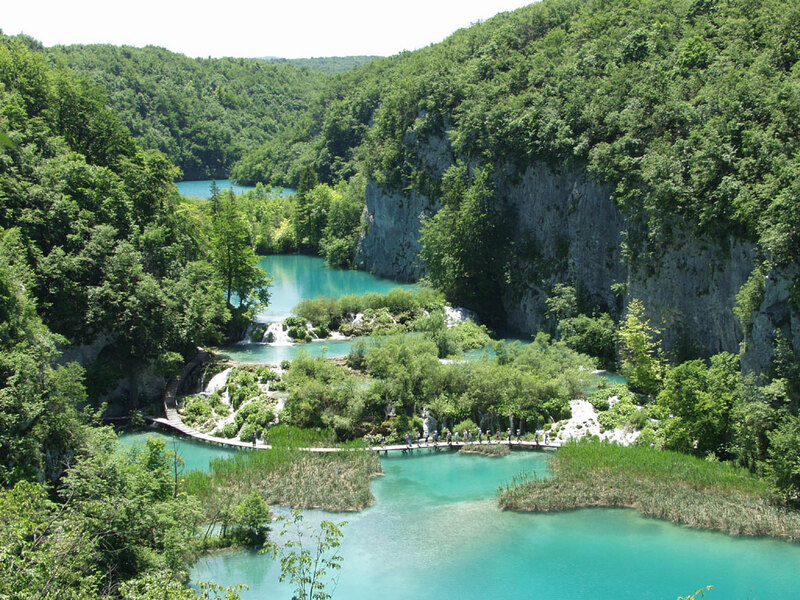 Plitvice lakes is one of our many locations we can take You to. Central Croatia is a region often underestimated in its tourism worth. The region has a lot to offer. 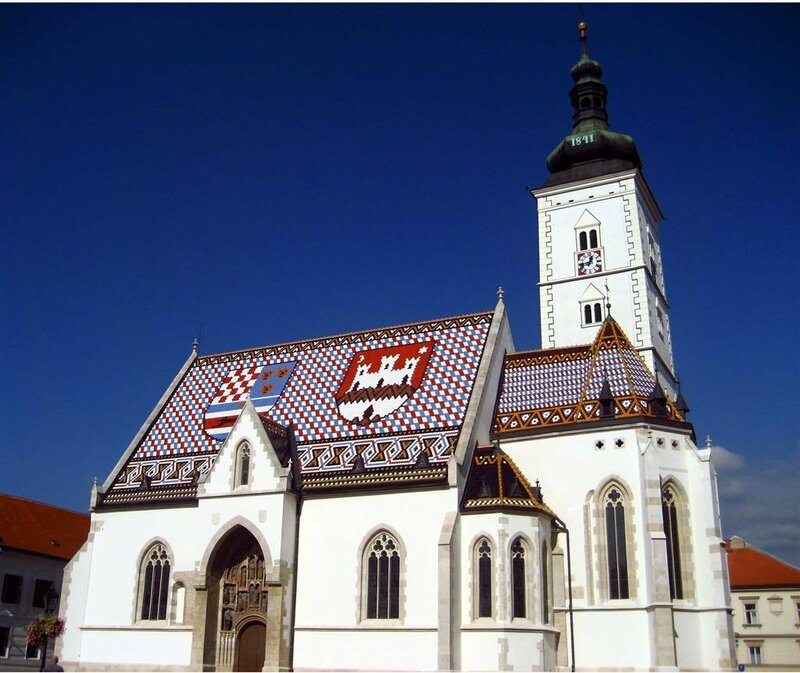 The most interesting part of this large northern region of the country is the old city of Varaždin. Varaždin has unique monuments and artistic heritage and is the best preserved richest urban complex in continental croatia. The Old Town with the castle is an amazing example of medieaval buildings. The construction of the castle began in the 14th century with rounded towers added in the next century. The Cathedral of Varaždin is a fine example of baroque buildings. It has distinguished baroque entrance, 18th century altar and paintings. The city Varaždin has some events to offer as well – the Špancir Fest is the annual festival featuring artists, street performenrs, musicians, vendors and more. Zagreb is the capital city of Croatia. The city itself has a Central European feel to it, large old town and 19th century center. It’s the largest cultural center with many museums and galleries. The historical part of the city is to the north of the town square and is composed of Gornji Grad and Kaptol, medieval complex of churches, palaces, museums, galleries and more. 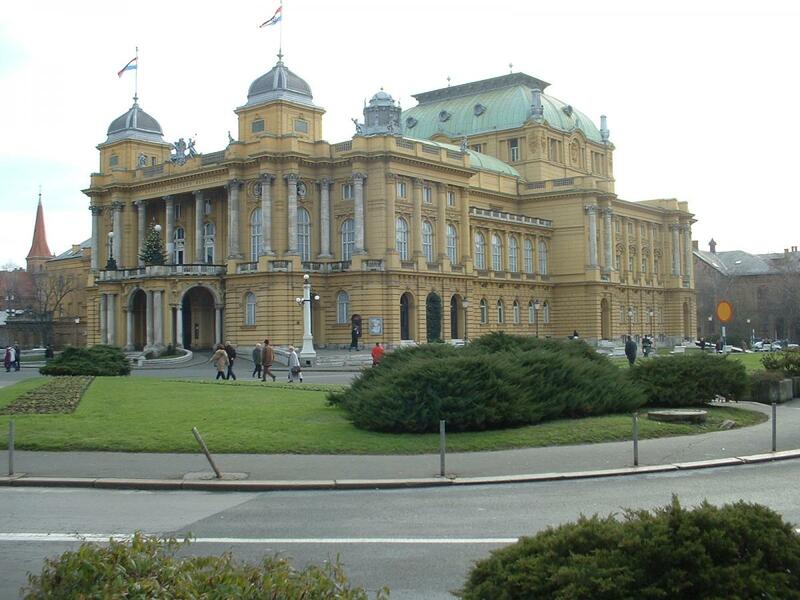 Zagreb is interesting because of it’s many museums and galleries which contain over 3.6 million various exhibits. The fine example is Archaeologial Museum, with nearly 400,000 exhibits and artifacts – the most famous of which is the Egyptian collection. While in the City of Zagreb, You should visit the Croatian National Theater, host to many prestigious events. 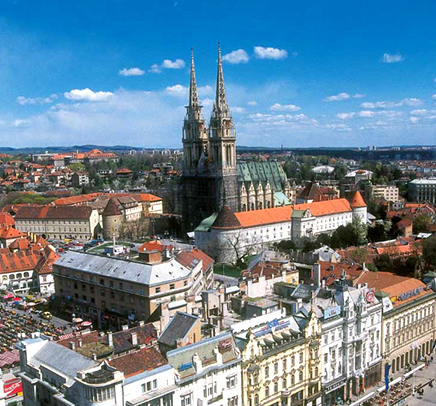 If You are interested in parties – Zagreb is the city for You. With many cafes, discotheques and young people all over the world, it’s truly the capital of fun for coastal Croatia.